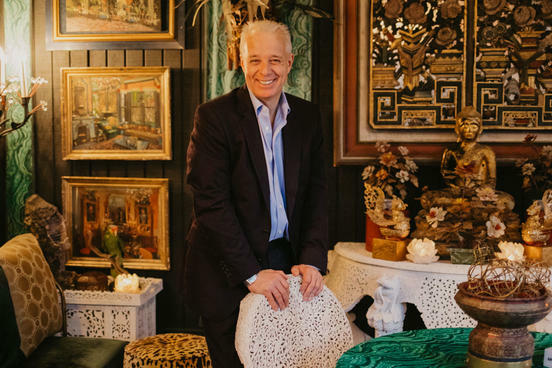 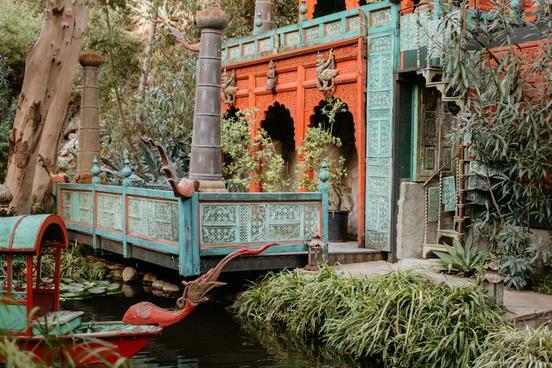 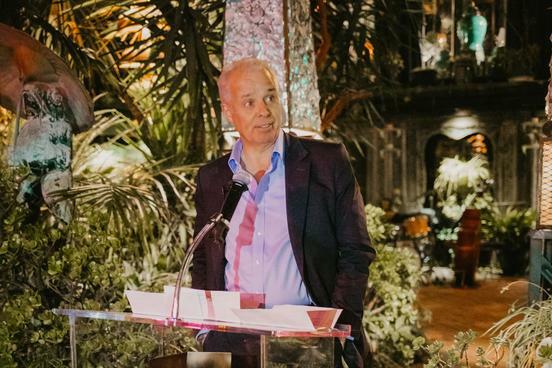 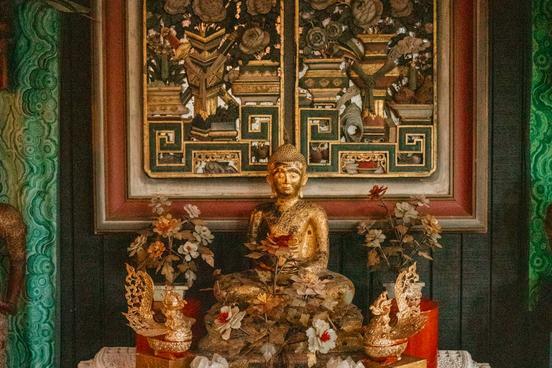 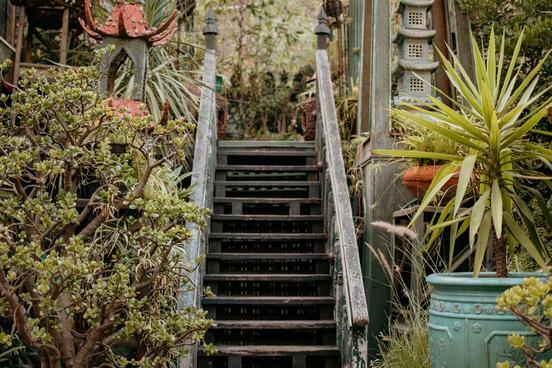 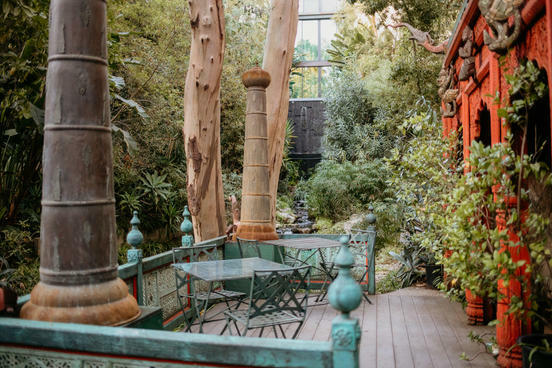 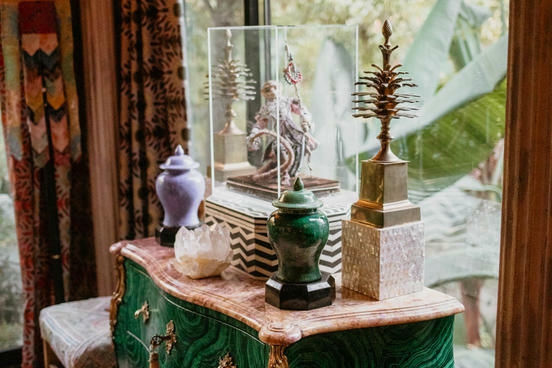 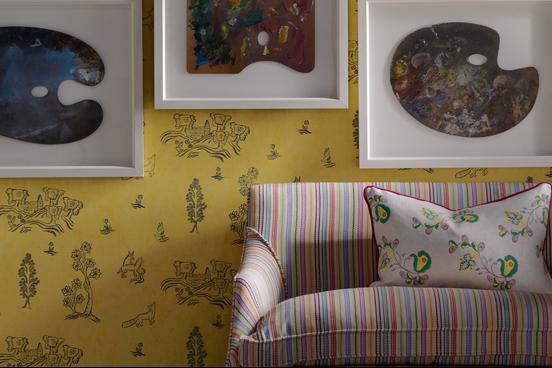 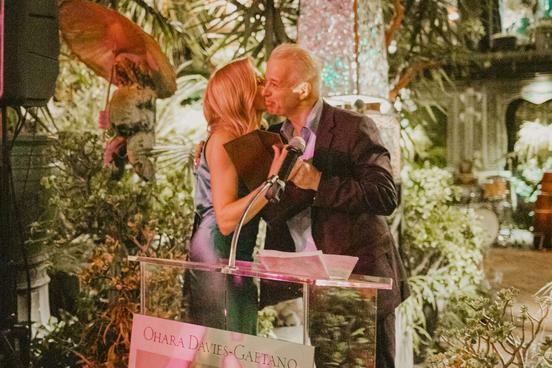 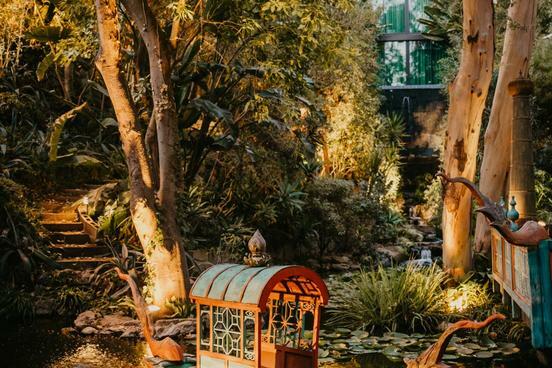 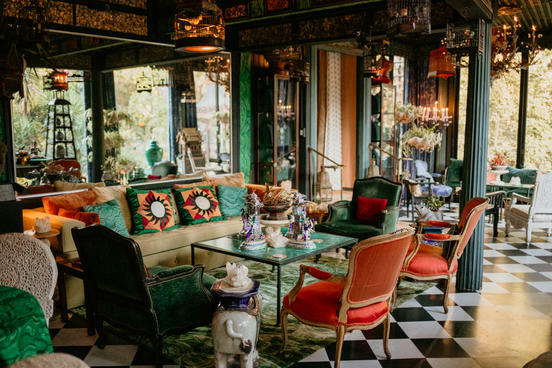 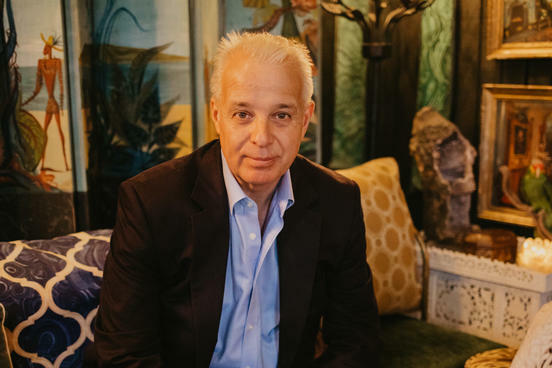 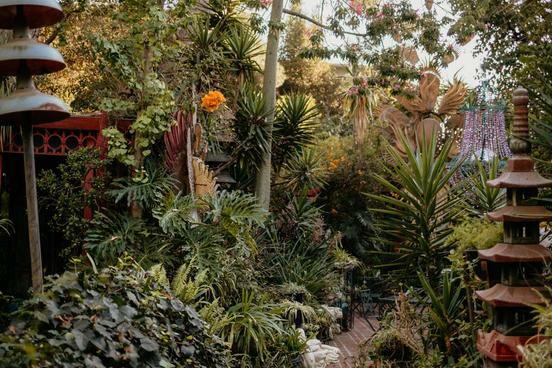 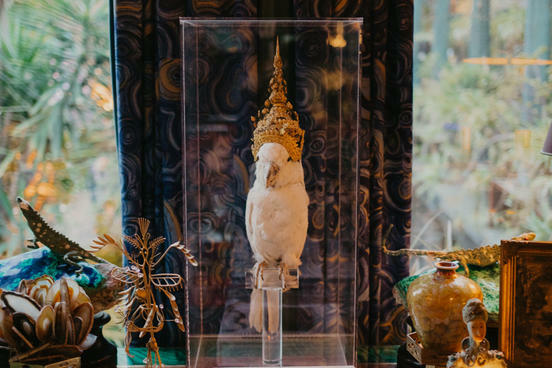 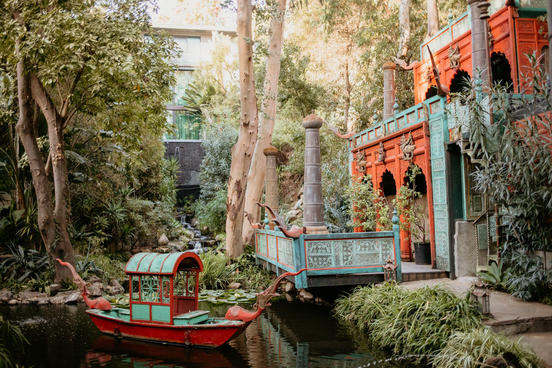 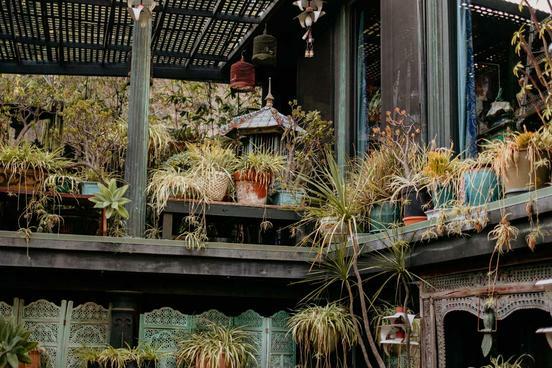 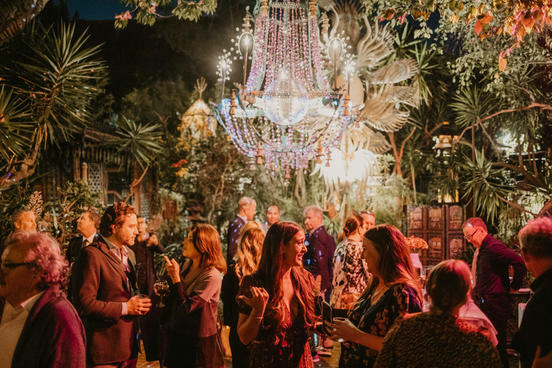 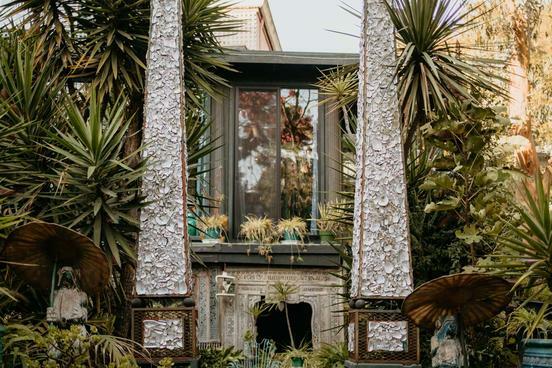 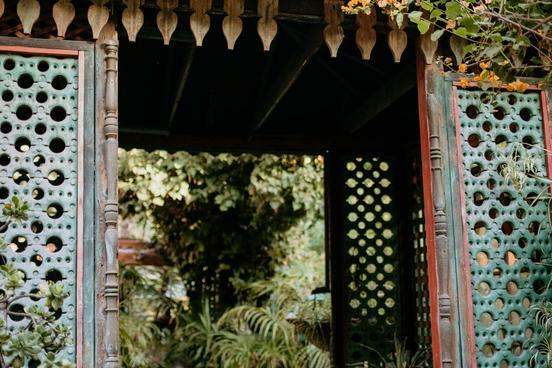 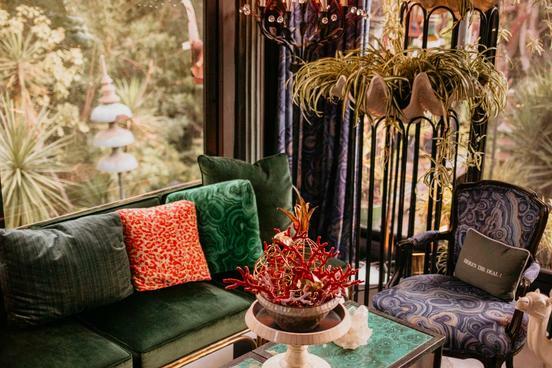 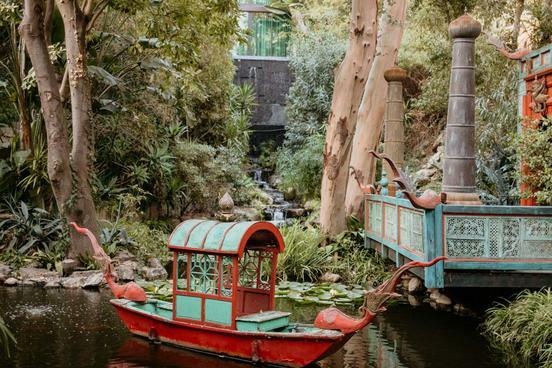 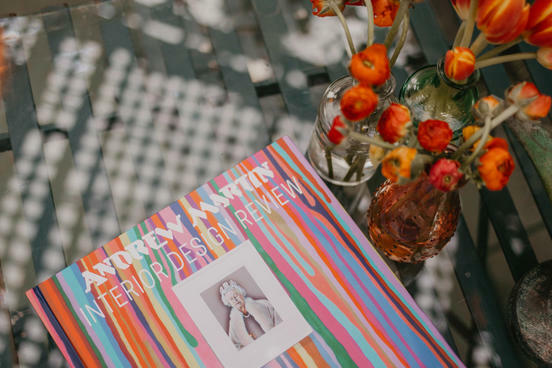 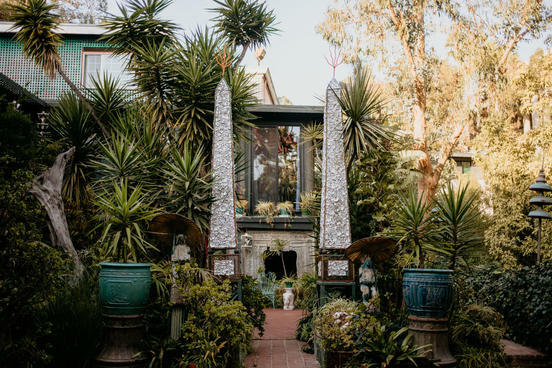 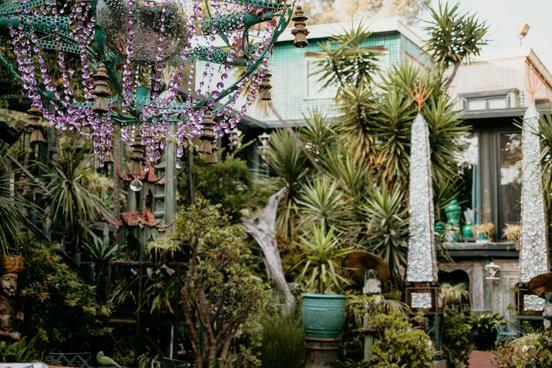 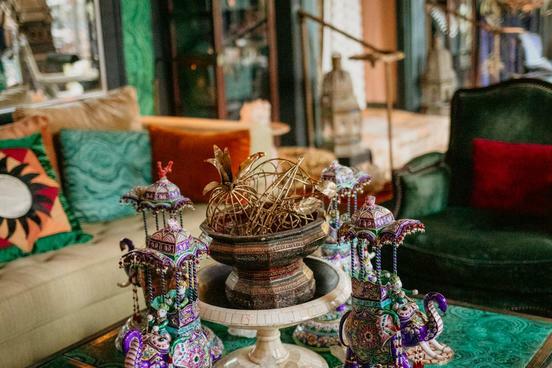 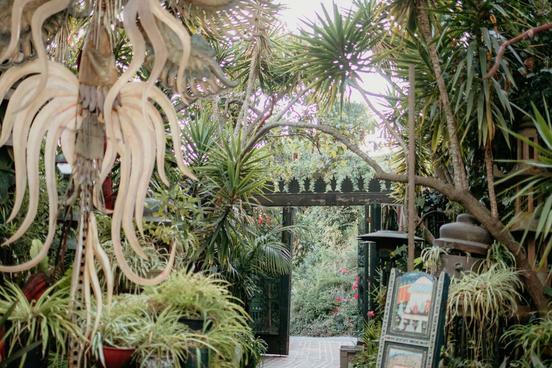 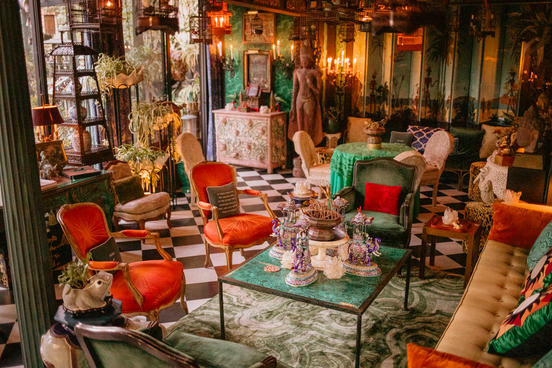 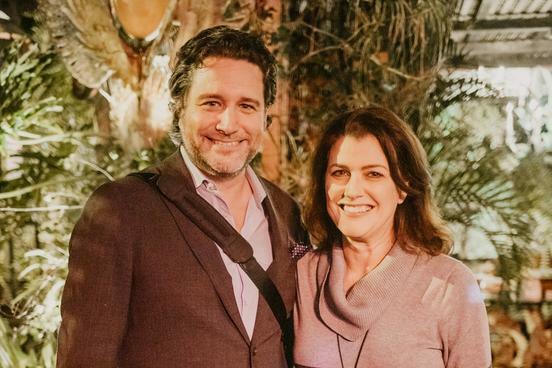 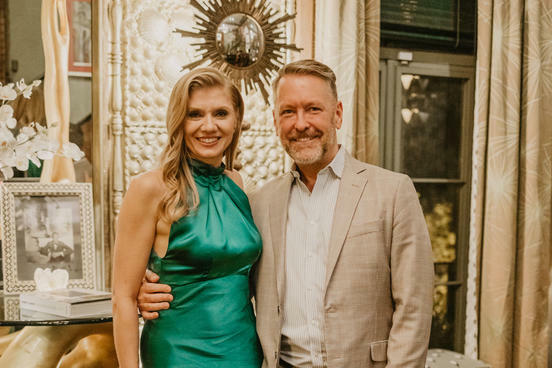 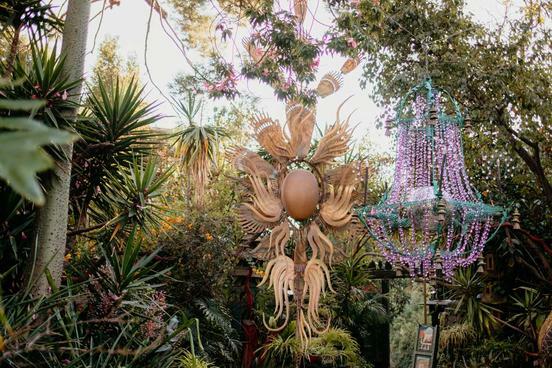 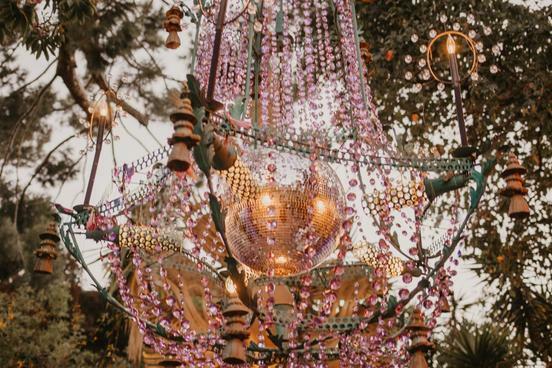 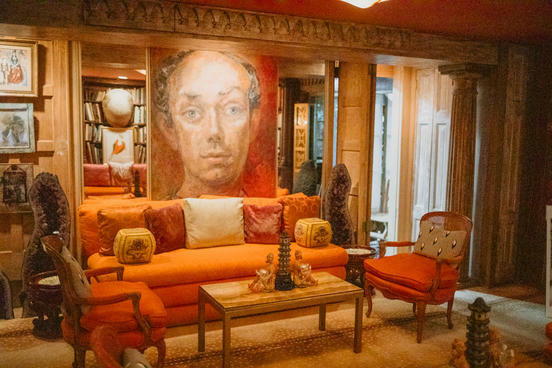 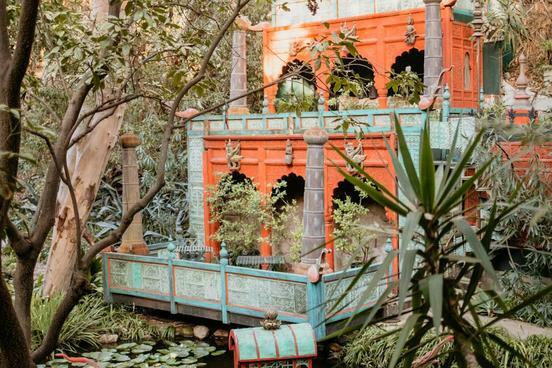 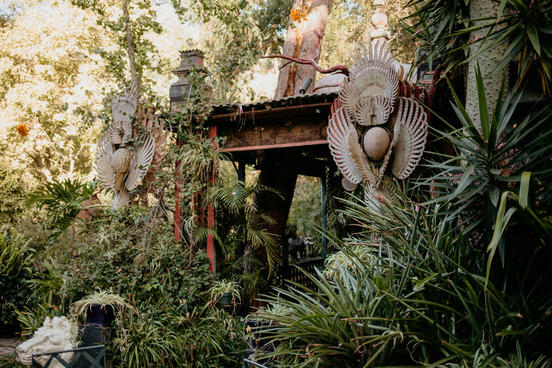 It was amongst rich colour and elaborate detail at Tony Duquette's Dawrnridge residence in LA that Martin Waller, founder of Andrew Martin, crowned Ohara Davies-Gaetano the 2018 International Interior Designer of the Year. 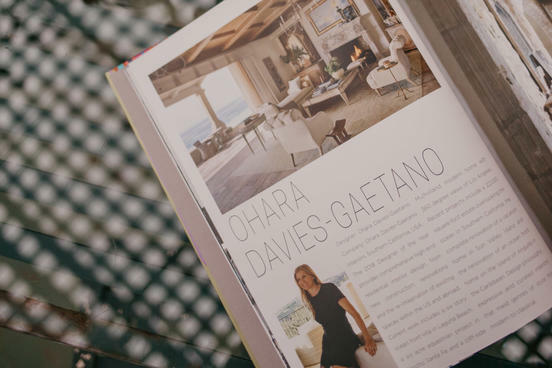 As someone who understands design and style, it was no surprise that Ohara so glamourously became one with the extraordinary surroundings. 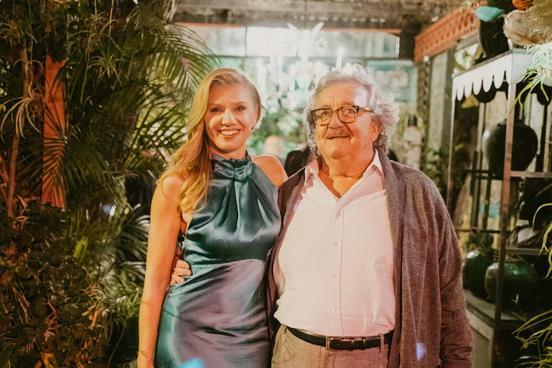 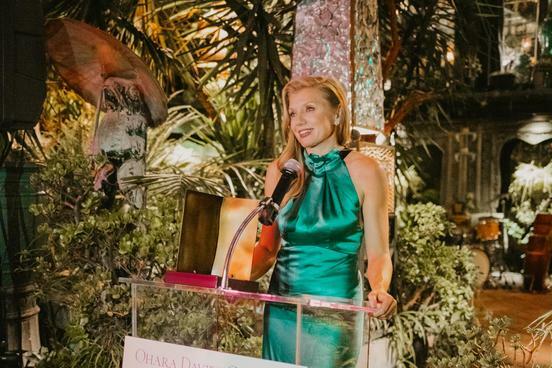 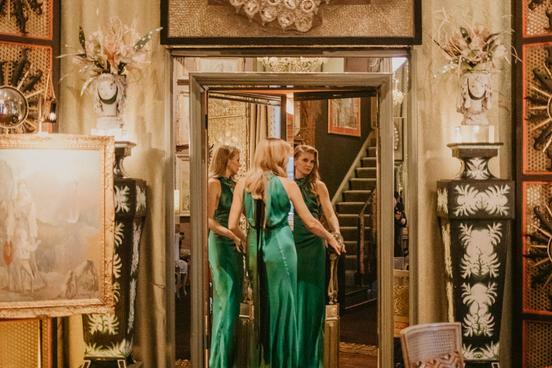 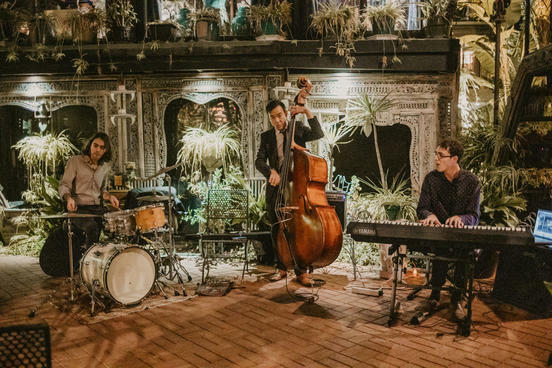 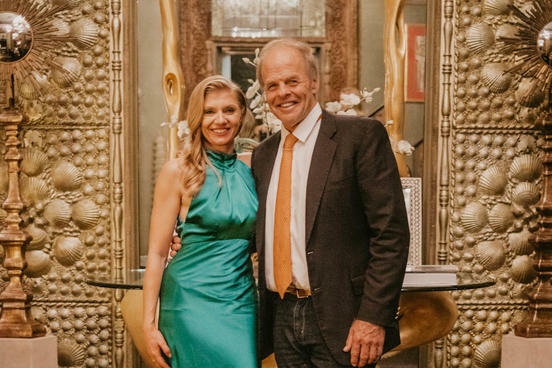 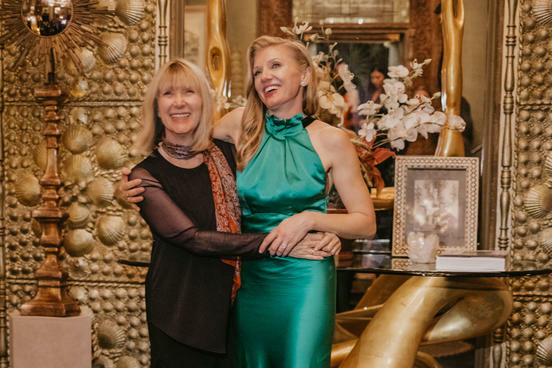 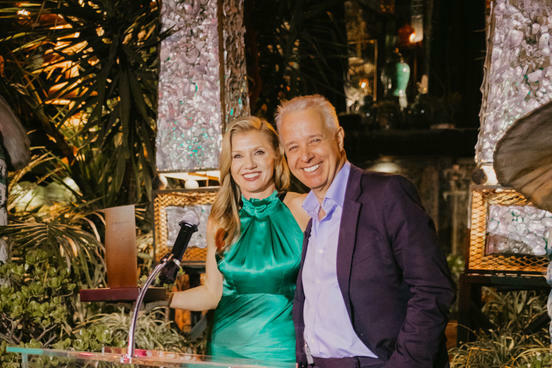 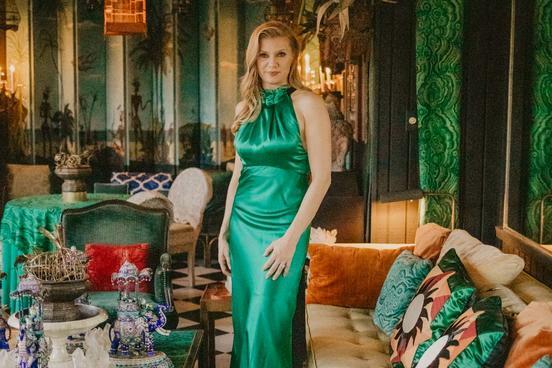 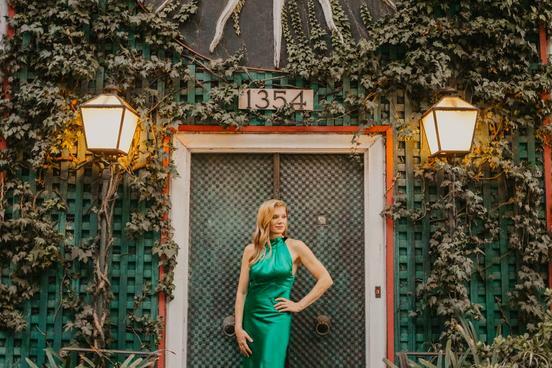 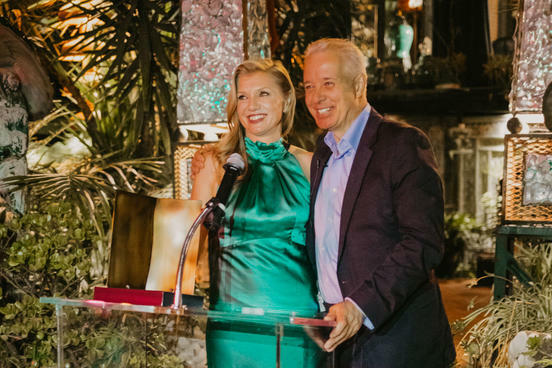 In green silk, she was appropriately the star of the evening, glittering between the leafy maze of the Thai-inspired exterior and the gold and malachite opulence of the divine interior. 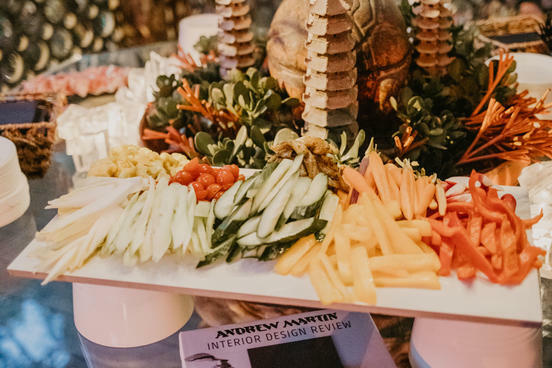 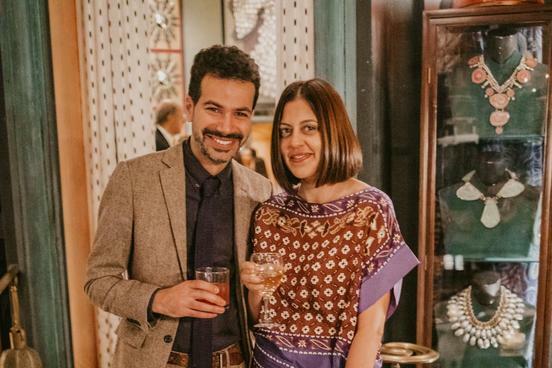 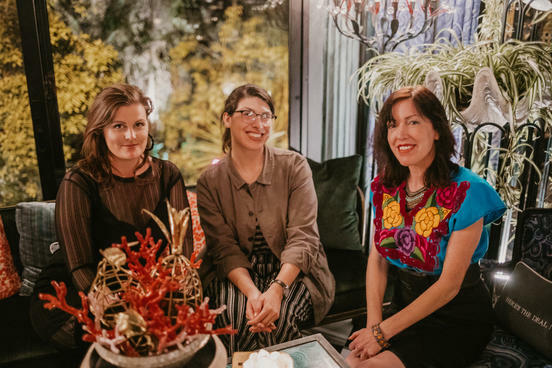 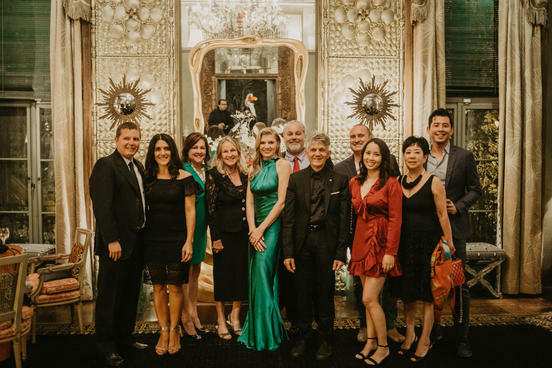 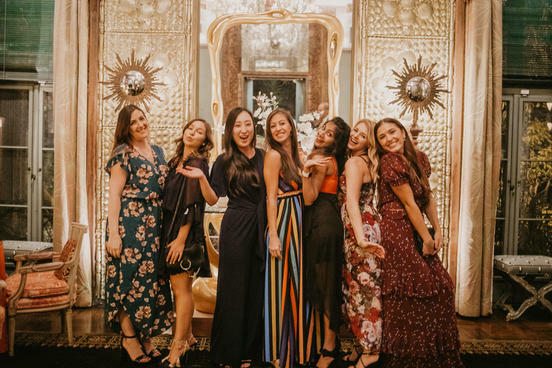 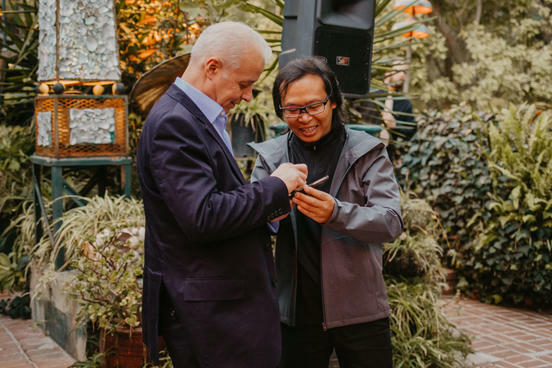 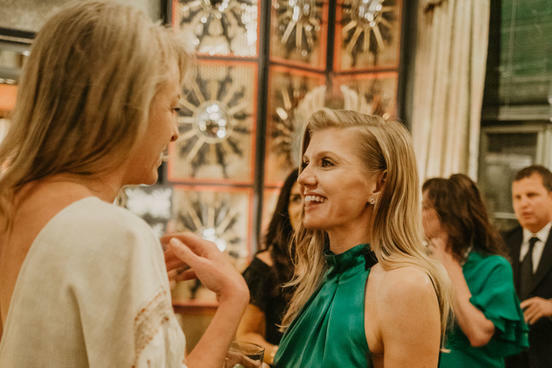 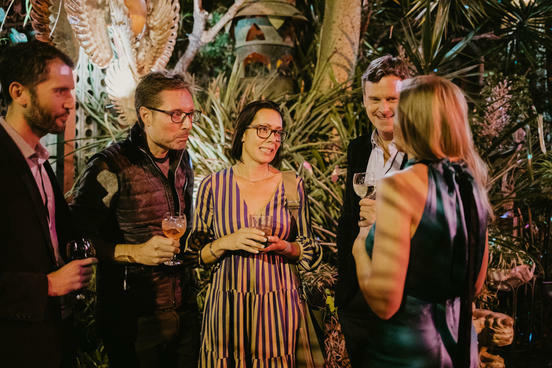 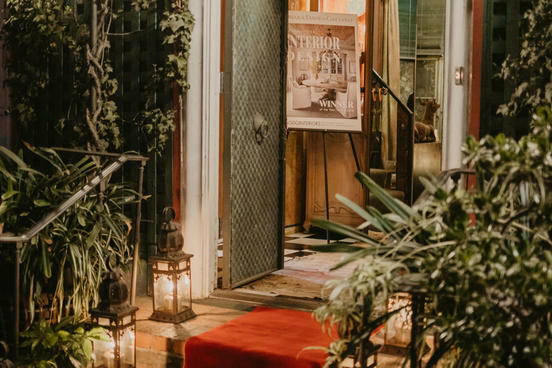 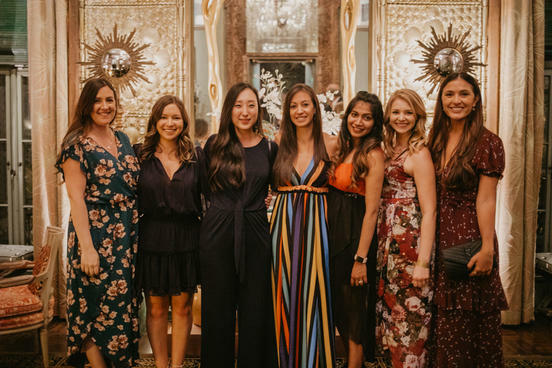 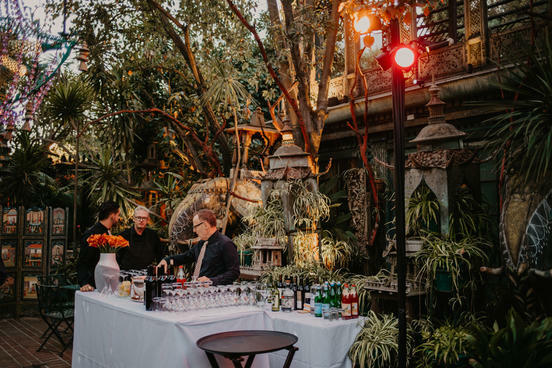 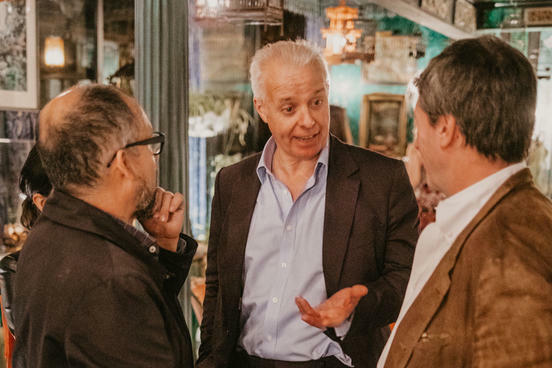 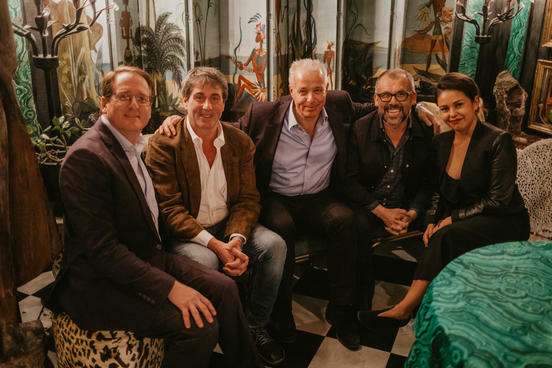 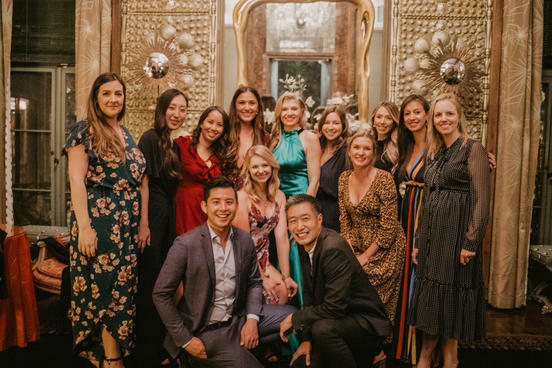 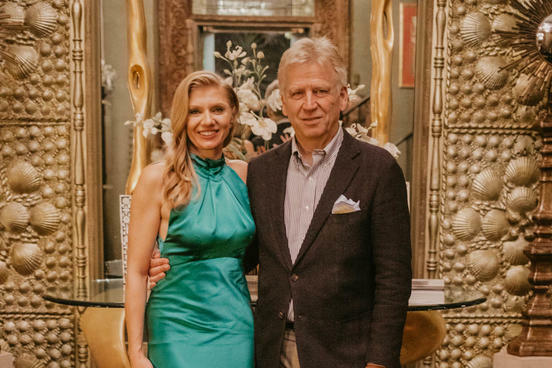 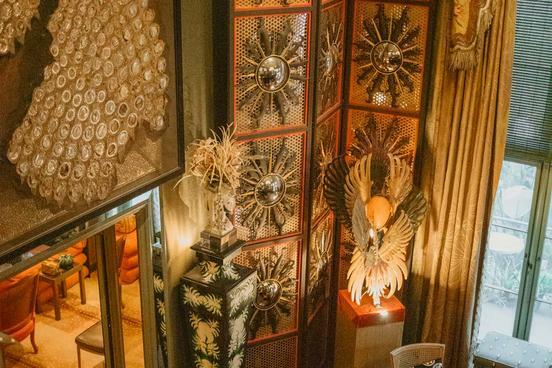 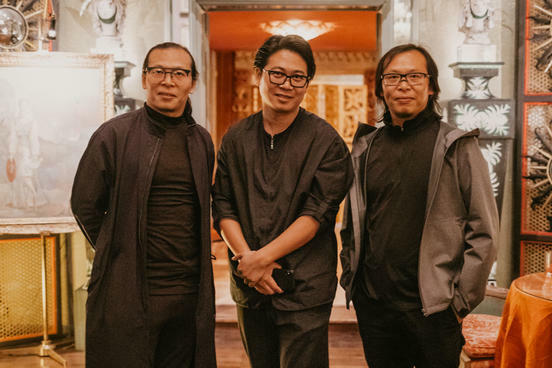 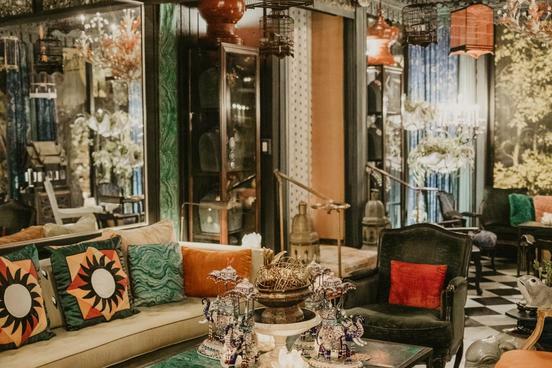 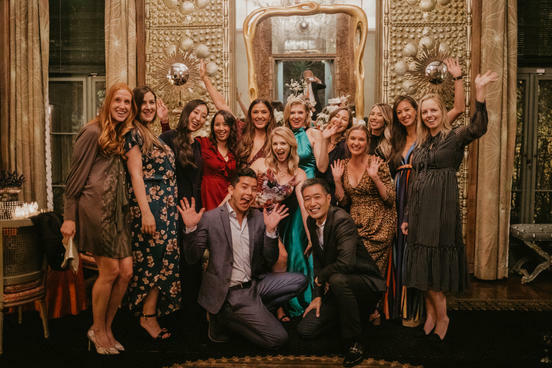 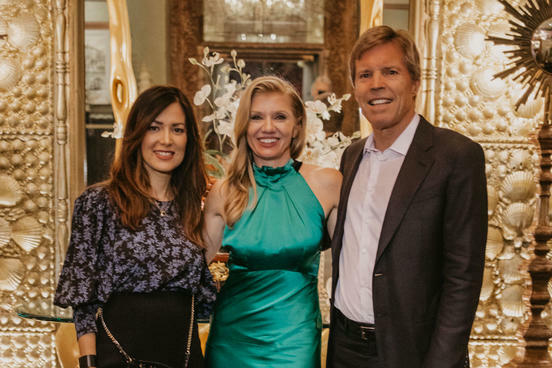 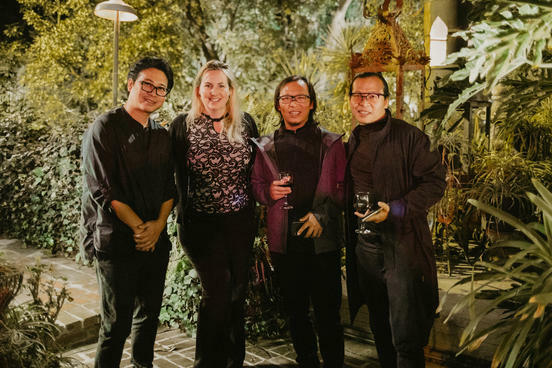 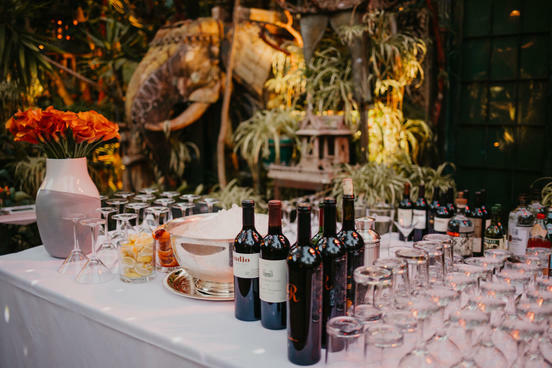 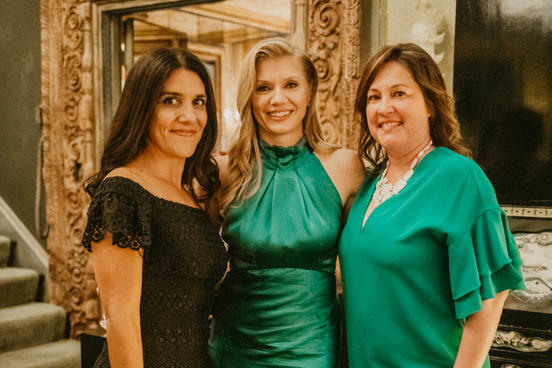 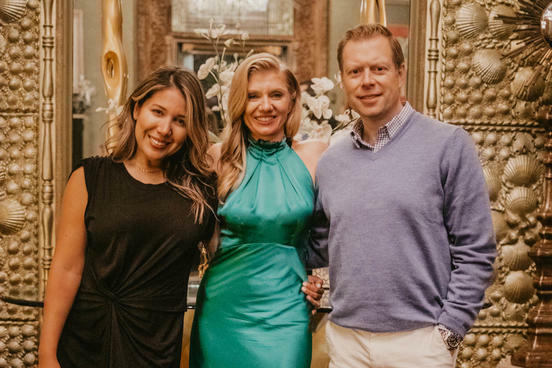 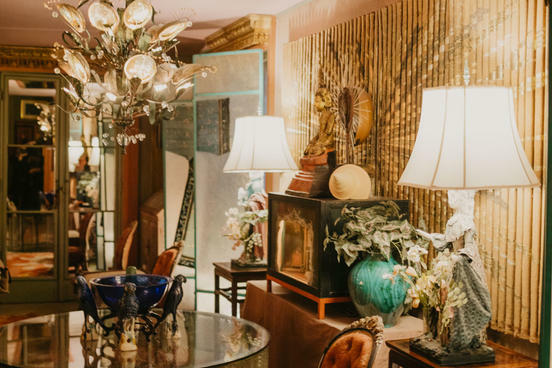 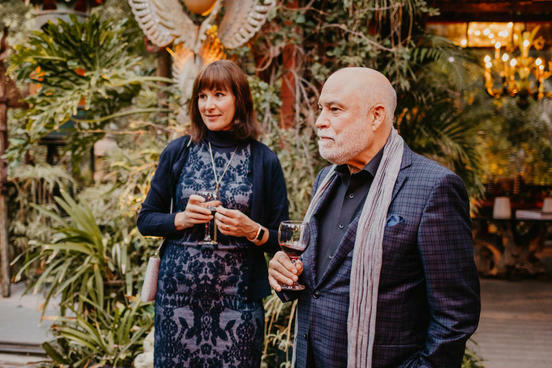 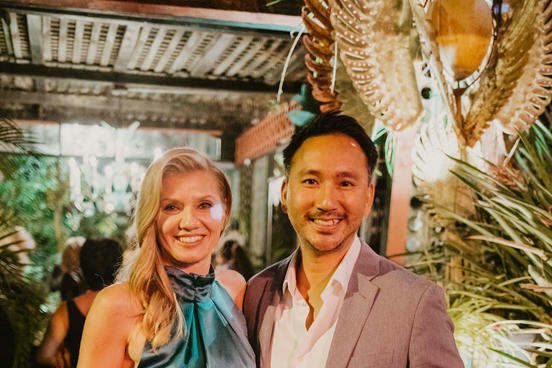 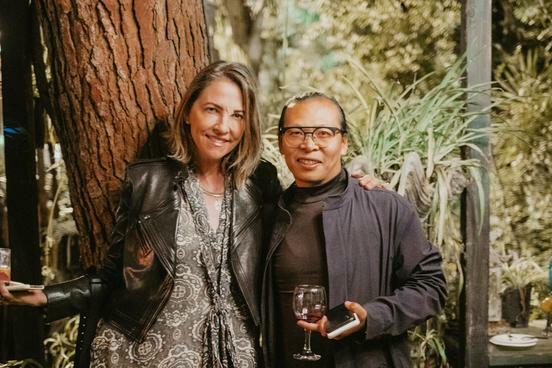 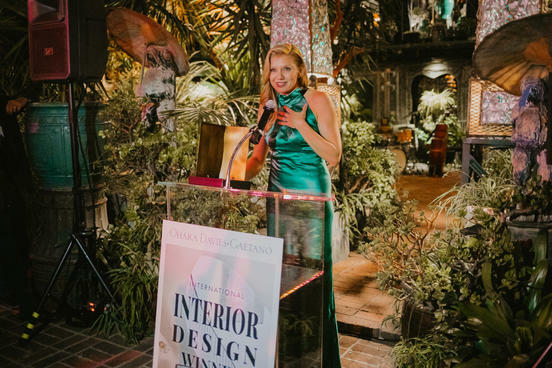 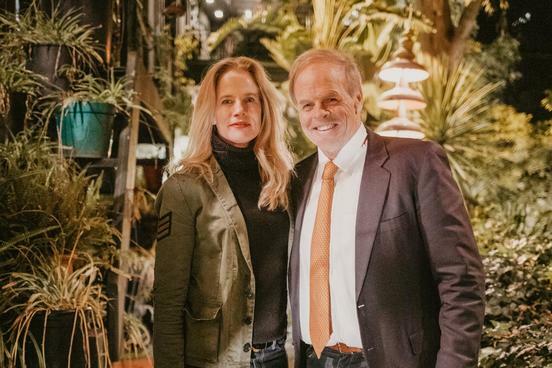 With renowned interior designers arriving from China, Guatemala and Europe, the evening was awash with international style and copious champagne. 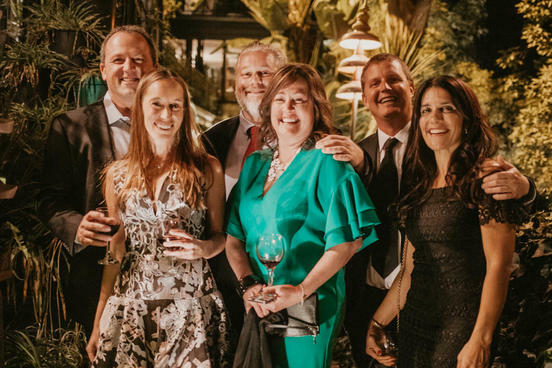 Browse the photo gallery below to relive it.